From Malawi to Medical School | Posts, stories and interviews…. follow my journey here…. At my medical school they have started interviewing for 2015 and there are lots of anxious looking sixth formers all waiting for their turn to go in. It is really weird to think that this time last year it was me nervously waiting for my interview and now I am almost at the end of my first term. I can remember feeling really scared as it was my first interview and it was an MMI which is really hard to prepare for. I thought it went really badly as I messed up a couple of the stations, but I still managed to get an offer so I can’t have done too badly. If you’ve got an MMI coming up then read this article in The Guardian which has some tips from admissions tutors to help prepare for this type of interview and you can also find lots of advice for the day itself in this book. Just click on the orange words to go to the links. Good luck! I read this article in The Telegraph the other day. According to David Willetts, the Universities’ Minister, the level of competition among sixth formers for places to study medicine was so high that he was encouraging more people, particularly girls, to apply for other courses like engineering. This is because last year around 4,800 students with straight As at A-level failed to get in to British universities and of those the largest number, around 1,800, were those applying for medicine. It is thought that there is an increasing interest for medicine because of the high tuition fees and the increasing pressure on students to secure well-paid jobs in the future. I was one of the lucky ones and am now studying medicine at university, but it was not easy and if you want advice on how to improve your chances of getting a place, click on the link below and have a look at this great new book, Get Into UK Medical School 2015, for sale on Amazon now. This books shares with you the wisdom and secrets that other medical school application books leave out. With this book, you CAN get into medical school! This summer I had a great time in Italy and Portugal, I passed my driving test first time and I was so happy to get A*A*A in my A levels. Now this Saturday I’m going to start medical school! I’m so excited and can’t believe it’s happening at last. I’ve been very busy for the last few weeks seeing friends from Malawi who are studying over here too, going out with friends from school and getting everything I need for uni. I wish everyone lots of luck with their applications to medical school and I hope that you find this blog useful. At last all my exams are over and I just have my driving test in a few weeks. Yesterday I went back to the Pearson Vue test centre where I’d taken my UKCAT last summer, for my driving theory test. The driving theory test was easy in comparison, and I quite enjoyed it, but it was weird going back, as I could remember how nervous I was before my UKCAT. Luckily I got into it and it was a great feeling coming out afterwards with my test score, which was better than I’d thought I’d do. I hope everyone that is doing their UKCAT this summer gets the results they want too, and if anyone wants some advice about taking the UKCAT or writing their personal statement, take a look at this book available on Amazon kindle by clicking on the title in bold below. 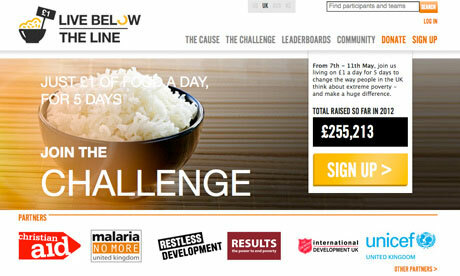 Today is the last day of my Live Below The Line Challenge, and I’d like to thank everyone who has sponsored me to live on £1 a day for 5 days to raise money for Malaria No More. So far I’ve raised £90 through my Live Below The Line fundraising page and Just Giving fundraising page, but it’s not too late if you’d like to donate. Just £1 can save a child’s life from malaria which is preventable and treatable. Just click on the orange coloured links to my fundraising pages to donate quickly and easily. The challenge has been quite hard as the food I’ve been eating is very dry and boring, without any taste, and I have missed being able to drink tea and snack when I want. However, it’s taught me how hard it is to eat healthily on a very small budget. I couldn’t afford fresh fruit or veg and have mostly been eating rice and pasta. It’s also given me some tips for cooking cheaply when I’m a medical student, which I’m really looking forward to. I hope I’ve inspired others to try this challenge too to raise awareness about people living in extreme poverty around the world. Stephen Sutton is an amazing teenager from Burntwood, a town close to where I live. He’s 19 and wanted to be a doctor like me, but sadly he developed bowel cancer when he was 15. Despite everything he carried on with his education, getting amazing A level results, and applying to Cambridge to study medicine. However, just after his interviews he found out his cancer was incurable, but instead of feeling sorry for himself he decided to make the most of the time he had left. In just over a year he has done some really amazing and inspirational things, including giving a speech at 10 Downing Street, appearing as an extra in an episode of Doctors, skydiving, breaking a world record and raising over £2 million for his charity, The Teenage Cancer Trust. 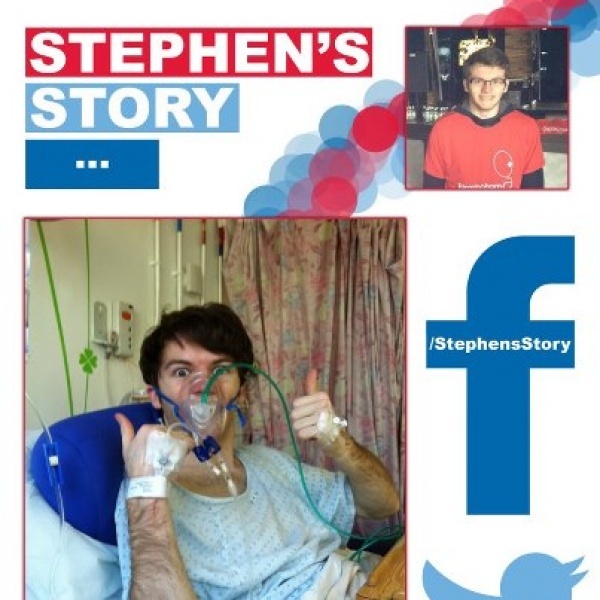 You can read a lot more about him on Facebook or his website, www.stephensstory.co.uk here, and if you feel inspired to make a difference, then please donate to his charity today and help him reach his new target of £5 million. Tomorrow I’ll be living on £1 a day for all of my food and drink as part of a global challenge, Live Below the Line, to end extreme poverty. My brother, Joe, caught malaria while we were living in Malawi, but fortunately he recovered after being given the right treatment. I’m doing this challenge so that other children can also receive life-saving treatment for malaria. No parent should lose their child to a disease that is easy to prevent and costs £1 to treat. Malaria is a leading cause of child deaths and poverty in Africa, but together we can make malaria no more. You can sponsor me by donating to Malaria No More here. This is all of my food for the week, which cost £4.82. When I lived in Malawi and visited people in hospital there it was very rare to see any mosquito nets, even in the maternity wards. My brother caught malaria while we were living in Malawi, but fortunately he recovered after being given the right treatment. I’m doing this challenge so that other children can also receive life-saving treatment for malaria. No parent should lose their child to a disease that is easy to prevent and only costs £1 to treat. Malaria is a leading cause of child deaths and poverty in Africa, but together we can make malaria no more. If you would like to donate and help prevent malaria, please visit my Live Below the Line page here. This is the time of year to start thinking about university Open Days which usually start in June and go on until September or October. Most universities have already started to take bookings for Open days in June, so it is worth going to their websites and registering now for particular sessions, so you don’t miss out. You not only get to look round the university, accommodation and campus, but you can go to talks about the admissions process which are really useful and give you the facts about which GCSEs and A levels are required, and cut-off points for the UKCAT and BMAT tests. I found it really useful last year and looked around 5 or 6 universities, so it was easier to narrow down my choice to my top 4 when I filled in my application in September. Below are links to some of the Open Days. 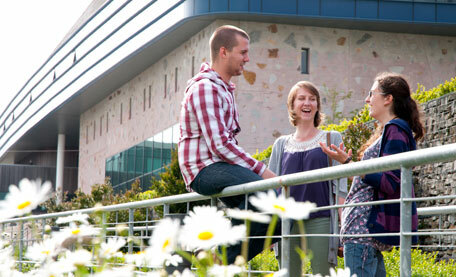 If you want to find out more, click on the name of the university to link to their Open Day page. If you want to find out more tips about Open Days and the application process, then click on the orange words to have a look at this new book available to buy on Amazon Kindle now. This is a really helpful book if you are thinking of applying to medical school next year. It has lots of helpful hints for finding work experience, writing your personal statement, preparing for the UKCAT and interviews. It’s available to download from Amazon kindle books, so if you’re interested just click here. Good luck with your application! After months of waiting, I’ve finally heard that I’ve got an offer from another of my medical school choices!! Now I’ve got one firm and one insurance, just got to get those grades! Now I’ve got a place at medical school, I’ve decided to try to pass my driving test before I go off to university in September. I know it won’t be easy, but I know I can do it if I try hard and practice whenever I get the chance. I’m having a 2 hour driving lesson tomorrow, so watch out if you’re on the road! On Tuesday ITV news announced that a malaria vaccine, developed by GlaxoSmithKline (GSK), and trialled in Ghana, has almost halved the number of cases of malaria in children and could be for sale in Africa within a year. According to ITV, GSK said it is planning to release the drug to market at the reduced price of $5 per vaccine. Although this cost is still expensive for millions across the Sub-Saharan region, it is relatively cheap and a major breakthrough in the fight against this costly, deadly disease. The trial is one of the biggest ever undertaken and the results show that the vaccine could save millions of lives each year. 15,000 people took part in it, across seven African countries, including Ghana, Kenya, Tanzania, Malawi and Mozambique. 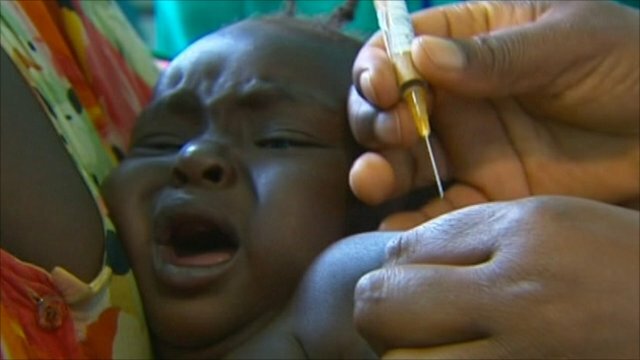 Professor Tsiri Agbenyega told Lawrence McGinty, from ITV news that they ‘have reached a “eureka moment” in the development of just such a vaccine – the first in the world against a parasite.’ His hospital in Agogo is one of 11 centres where trials of the malaria vaccine are being carried out. Although the full results are not yet available, the results are encouraging at this half-way point, as the vaccine nearly halves the number of episodes of malaria in children aged between 17 months and 5 years. For every 1,000 children vaccinated, 941 cases of clinical malaria were prevented over 18 months of follow-up. You can read more about it on ITV news here. I just found out that I’ve got my first offer AAA ! I’m so happy and can’t wait now, hopefully I’ll hear from the others soon too! This weekend I watched some of the figure skating at the Sochi Winter Olympics. The standard of the skating was amazing, and I thought that the best skater was the Russian 15 year old skater, Yulia Lipnitskaya, who won Gold in the Ladies figure skating. You can watch her perform here by clicking on highlights. I began figure skating when I came back from Malawi and now train twice a week in a competitive class. I still really enjoy it and am always trying to improve my own jumps and spins, and recently I’ve been lucky enough to get tickets to see Torvill and Dean in their final tour at Birmingham NIA in April. Last December, I sang at Birmingham’s Symphony Hall with my school choir and the Salvation Army to celebrate the theme of ‘Christmas Around The World’. It was a great experience and a good way to start the Christmas holidays. This is a photo and article about it from one of my local magazines (I’m sixth from the right on the back row). Today is Holocaust Memorial Day and the theme this year is Journeys. All around the world today there are events that will bring us together with our neighbours, that will strengthen bonds of respect, and will enable us to pledge to take a step towards creating a safer, better future. As an ambassador for the Holocaust Education Trust, I’m going to be sharing the inspirational journey of Holocaust survivor Kitty Hart Moxon and my recent experience of Auschwitz at a special school assembly on Friday. If you want to take a step and learn about the multitude of Journeys that people were forced to undertake, in fear of what would be found at the end, then you can pledge your support here. If you want to find out more about the millions of people murdered in the Holocaust, under Nazi persecution and in the subsequent genocides in Cambodia, Rwanda, Bosnia and Darfur, you can watch the Holocaust Memorial Day 2014 youtube video here.